The Institute's Gender Equity and Diversity Committee was formed in 2014 to establish initiatives to address the issue of female under-representation at senior levels in science at the Institute and more broadly across the sector. Studies show while almost 50 per cent of science graduates in Australia are women, only 17 per cent of women occupy senior academic positions at research institutes and universities. In 2018 we held our first NAIDOC week event and are at the start of our journey to develop a Reconciliation Action Plan. Our Enterprise Agreement (EA) introduced in 2017 has increased paid primary caregiver leave to 16 weeks (which can be paid at 16 weeks normal time, 8 weeks double time or 32 weeks half time). We introduced a new clause in our EA that means that for the first four weeks upon return to work from maternity leave an employee is only required to work 75 per cent of their agreed hours but will be paid 100 per cent. This is available to staff who have given birth to a child or adopt a child. In 2016, we introduced the Alice Baker and Eleanor Shaw Gender Equity Fellowship (awarded annually) to assist the advancement of women in science. This fellowship is up to $150,000pa over two years and covers salary, research costs and work-related travel. Since 2014, we have offered two Women in Science Support Grants per year of up to $10,000 which staff can use towards a Research Assistant while on maternity leave and/or support while they travel for a conference. These grants, which will be expanded in 2018 to post-doctoral scientists who are primary carers on leave, are assisting people like Dr Kate Weeks. To find out more about our Gender Equity and Diversity Committee, contact Dr Anna Calkin. 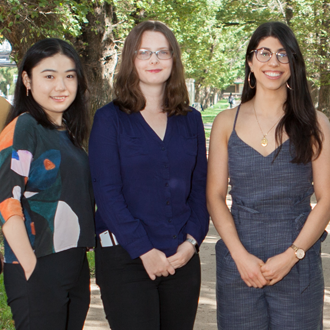 In 2018, the Baker Institute was one of 15 research institutes and universities recognised for its efforts to improve gender equity and diversity with an inaugural Athena SWAN Bronze Award from Science in Australia Gender Equity (SAGE). The Bronze level is the first SAGE award to be made available in Australia.